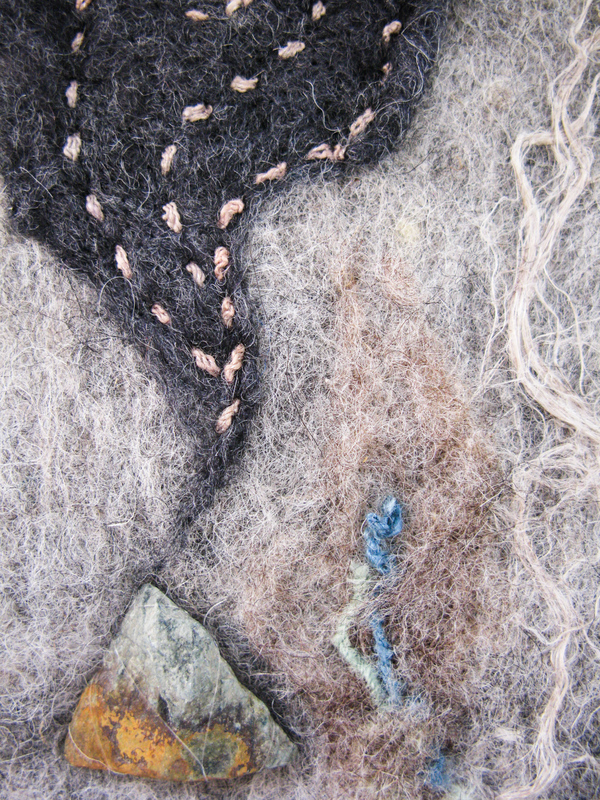 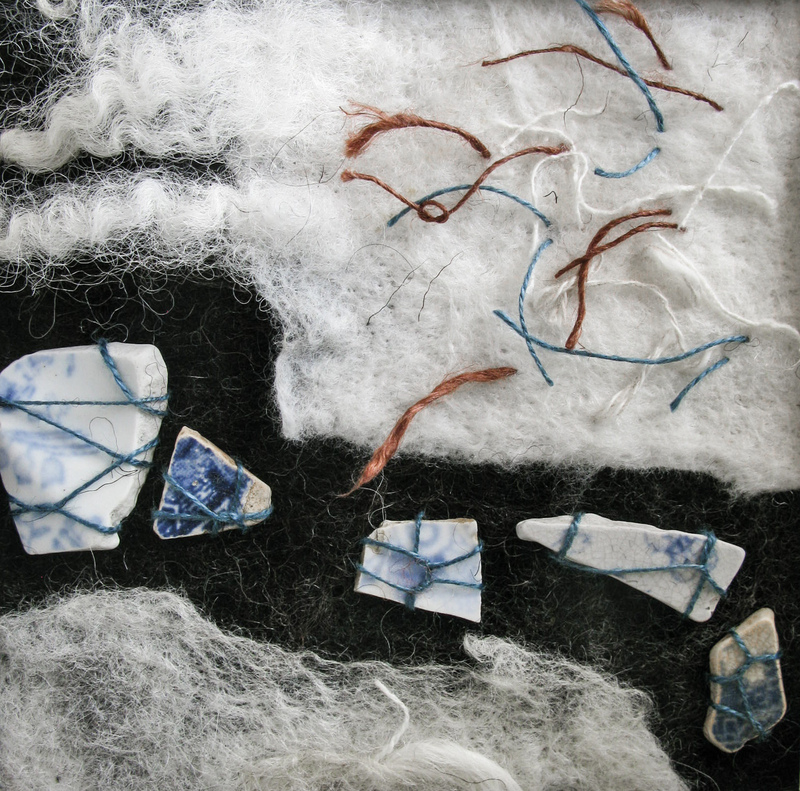 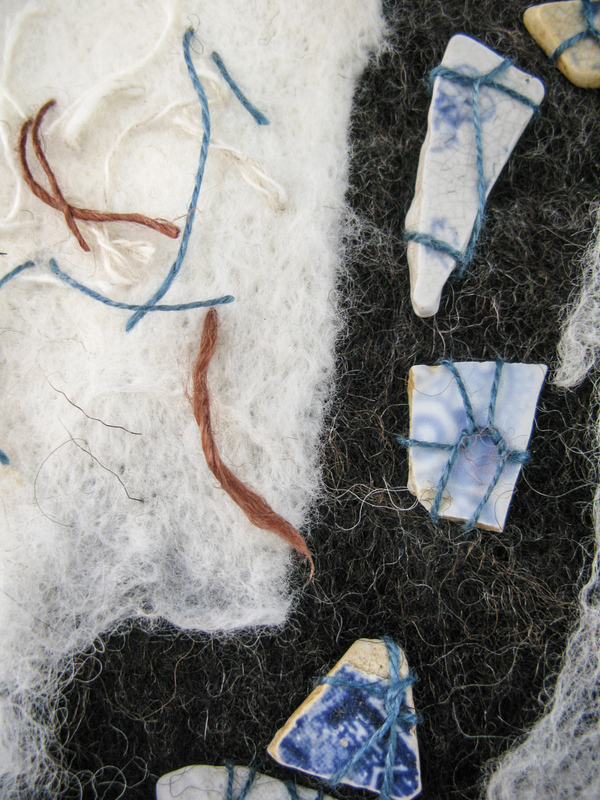 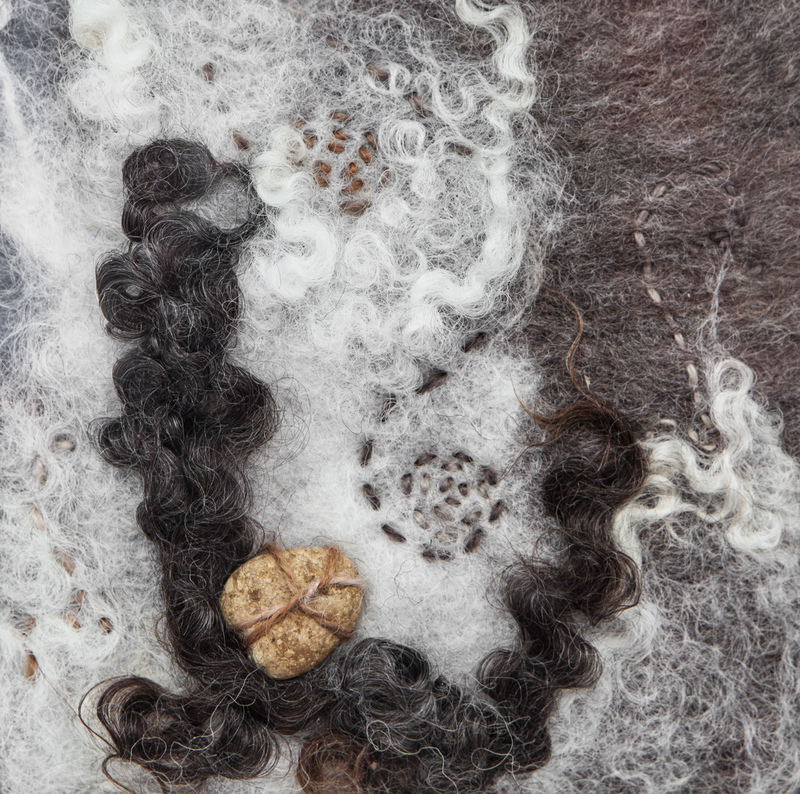 In this work, I combine my two creative passions, which are British naturals wool or threads, and foraged items found in the wilder places of North Wales. 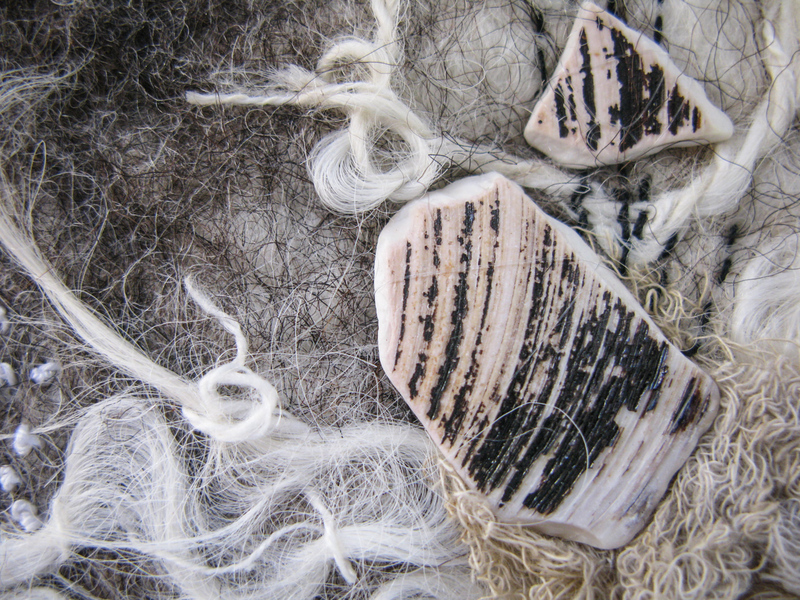 Stone, Ceramic and natural Shell. 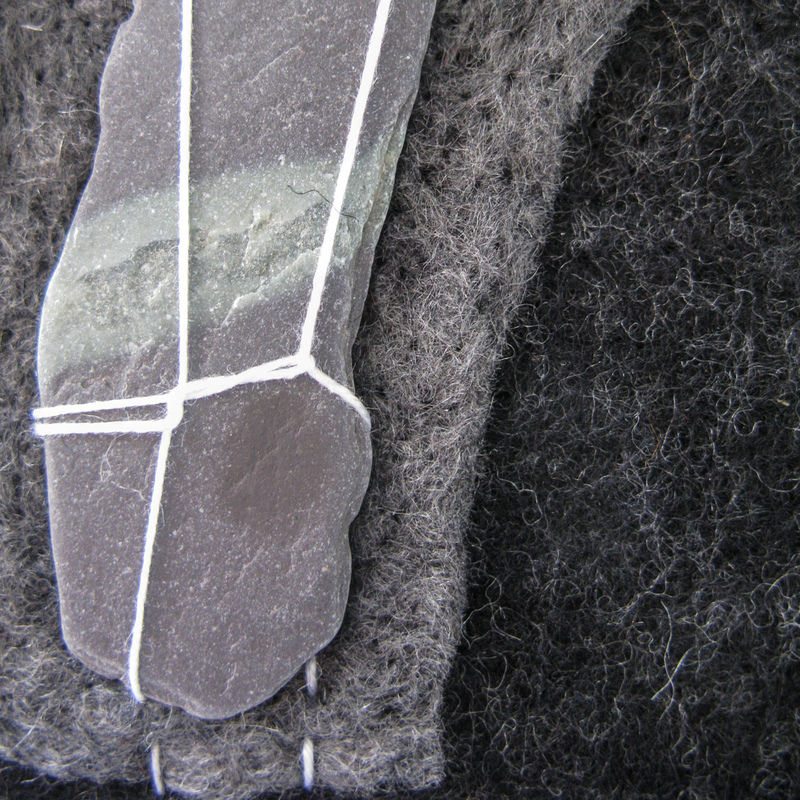 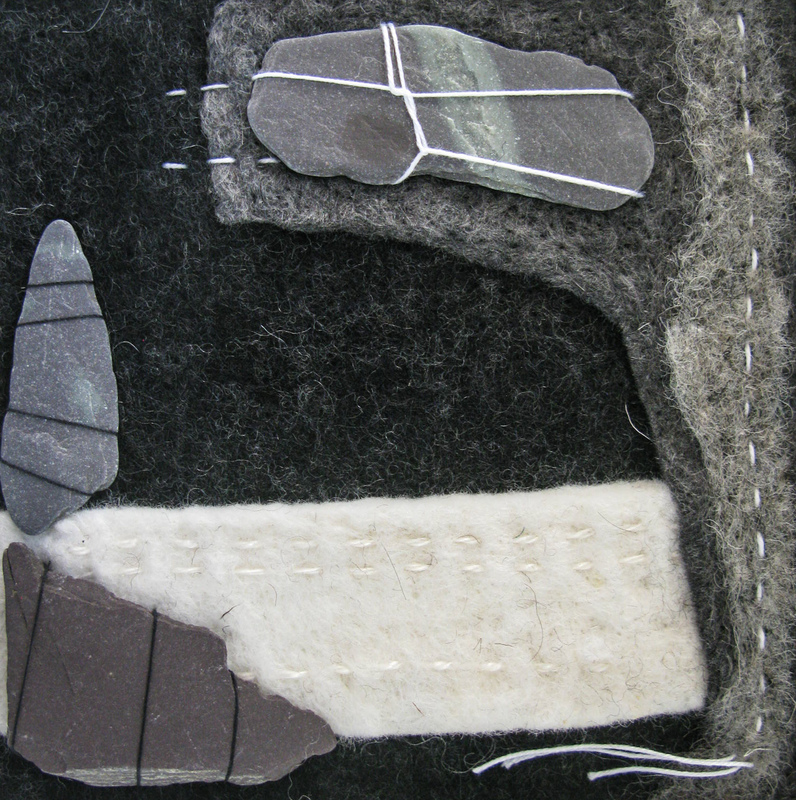 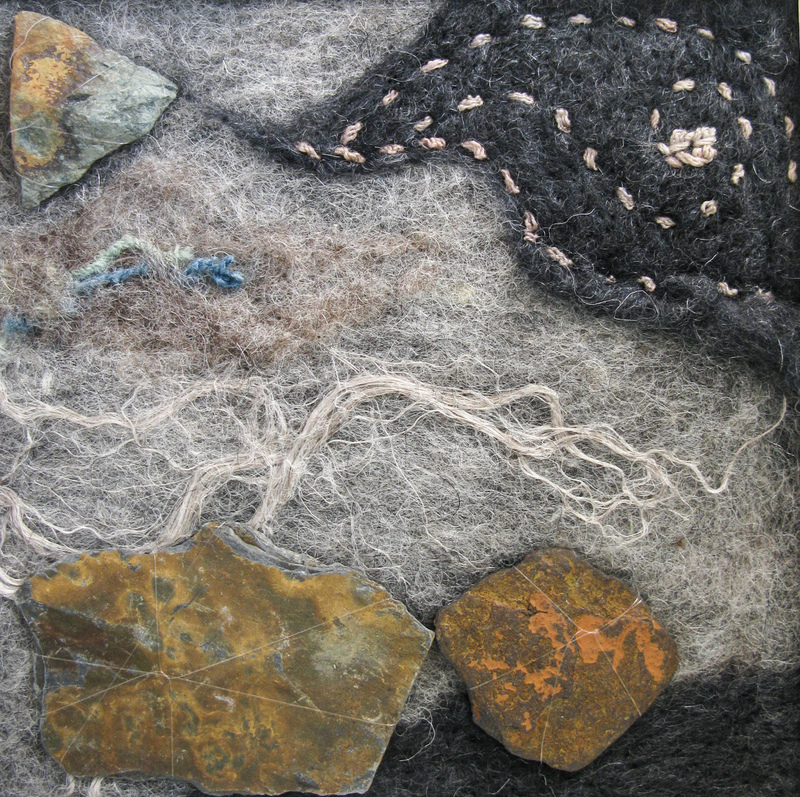 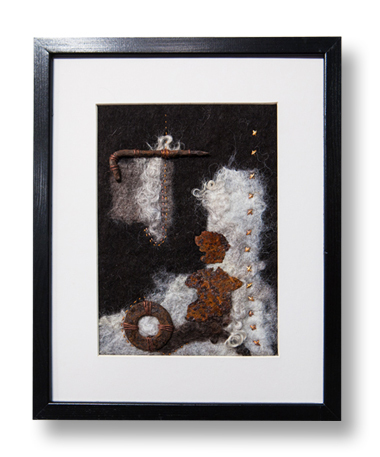 All 2D felted works shown are sold framed, in either black or white frame as appropriate. 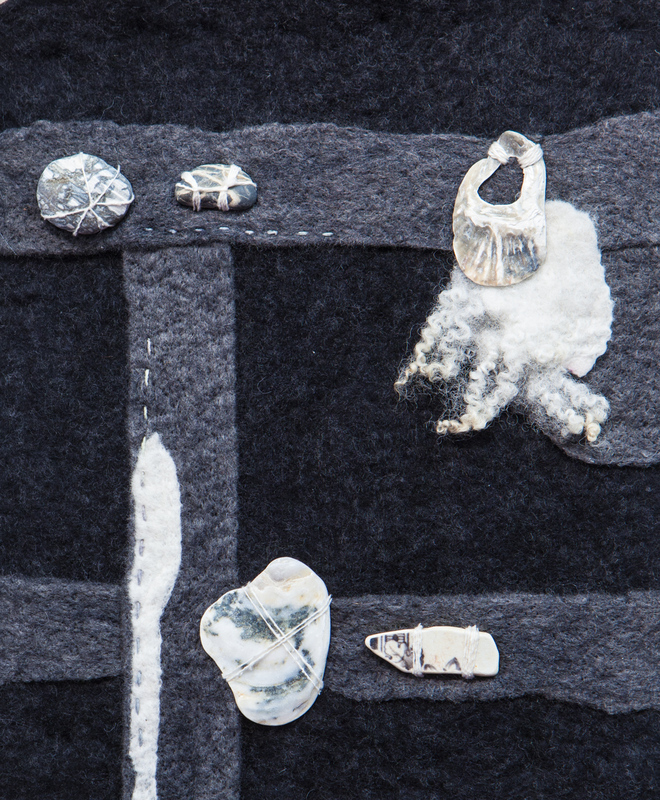 Contact Ronalda White for purchase enquiries.